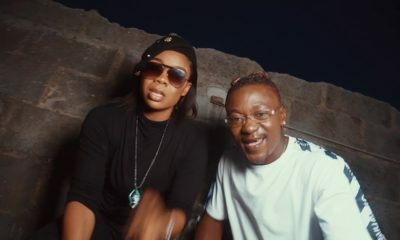 After giving a stellar performance at Darey Art-Alade’s “Love Like A Movie”, and getting on stage with Nigerian choreographer Kaffy (click here if you missed it), Ciara just had to take those unique Nigerian dance steps to the streets of Lagos. Styled by Tiannahstyling in a flowing asymmetrical dress, Ciara stepped out with her dances and Kaffy’s dancers on the streets of Dolphin Estate and they basically had a dancing match right there. Again, they danced to Iyanya’s “Kukere” and Tekno’s “Duro”. Ciara shared the clips on her Instagram page describing the passion of the Nigerian dancers as “not just a dance but a feeling”. She added “I Couldn’t Leave Without Doing This! The Soul, The Culture, The Passion Here Is Unreal!! Thank You For Opening Up Your Neighborhood To Me and My Dancers”. Ciara is such a sweetheart! I love that she opened herself up and not pretending. She’s so real. ..love her even more now. She’s having fun and sharing her moments in Nigeria with the rest of the world. She’s amazing! Dare did make a great choice on this one. Not that Kartrashian he brought. I had my doubts about the timing of the event, especially when you consider dollar crunch and CBN’s demand management through rationing of forex.,Ciara’s attitude has alleviated my doubts. It is more bang for the dollar and her engagement with Nigerians makes her import bearable. She really was a good choice. I hope her efforts opens up the country to inflow of dollars and more opportunities for our entertainment folks. remember kim was pregnant wen she came for the show. yeah her bump was not showing but who really knows how she felt at the time. Na lie about Kim. She sure wishes she could feel the streets. Madam that can’t dance or sing how will she feel the streets? Her head is far up her arse to think well.. Shey na Ciara wey no like luxurious things? Abegi. Black rules any day. Uncle Dare, na now you come not when you brought that sumborri that jumped out of the plane and was like “HEY NIGERIA” and FIAMMMM, she jumped back into the plane again. Once again, Ciara welcome to Nigeria and enjoy your stay! She didnt just come to chop u pples money. Shes really amazing and free with everyone like she doesn’t even want to leave. What I don’t like is how Tekno went all out on his page to praise himself and his song because Ciara is dancing to it, HOWEVER it’s Kaffy who made the connection happen. KAFFY oh! Sigh…Nigerians need to appreciate their own when it’s deserved. If you were Tekno, what would you do? People might see the video and buy your song from iTunes…all na hustle abeg. and there will be ppl saying.. ciara is a washed up artist.. why dd they bring her blah blah blah… THIS IS WHY WE BROUGHT HER… she is so open.. so sweet.. big ups.. I m sure her next music video will have our dance moves in it..
Awww….so lovely!! dats how u know a winner! Always ready to accept and learn new things. See how excited she is, working with Kaffy and she’s even dancing d thing wella! lmao…at FIAMMMM, ha Ciara you’re such a goddess, my love for you just took a cushioned seat at a plush parlour, it wont leave that space…your dancing skills are top notch…DARE this is how you do it, don’t bring FIAMMMM people, you see how everyone is congratulating you now, stay on this track, bella una try….who’s next? Thats the first thing I though, no, to dancing on the streets in Dolphins Projects. And something is wrong with a village dance, mr/mrs westerner. She had fun for sure. The first dark girl in the second to the last video was pure joy to watch. Well done Kaffy. Proud of you girl! Ciara is a natural, her Shoki, Kukere and Azonto are all on point . Let me go follow her on Instagram …. The other section may have required her to get permission since it is gated and this was clearly something that was decided over the weekend. Either way it doesn’t matter where they chose. I see absolutely nothing wrong with this. All i see is happy women dancing and enjoying themselves – no patronizing attitude, no polite platitudes about ‘Africa’, just pure heart. Where else should they go and dance? Aso Rock? Banana Island on top of Adenuga’s roof? Tah! Smell out! Ok, just joking. But I had even thought that they were dancing in LSDPC Estate Ebute Metta, which would have been hella awesome. Theres no need trying to pussyfoot (no pun intended) by trying to impress these foreign acts and only showing them the supposed high brow areas like Ikoyi, VI etc. whenever they come in. It is useless and smacks of a complex. If they come to Nigeria, they should see everywhere. Afterall there are ghettos in the USA that look a million times worse than many places in Nigeria. On the flip side, Nigeria’s best areas are nothing to compare to what Ciara has seen in her time as a top artist. I was not a fan of her music, but men this lady has gone way up in my estimation. I like that she came in and embraced the spirit and soul of the country, and not just stick to her hotel and pick her paycheck (which she was entitled to do, to be honest). I love the bond they created through their dance(ciara and Kaffy).I could literally feel their happiness and how much she enjoyed this by jst watching the video. God bless everyone that made this possible.What is life if we cannot relate and experience our different cultures like this. Moment like this reminds us of how God has blessed us with people and things around us to bring us happiness. ciara is a born dancer. and she likes to move cuz she can dance. i always thought she was nice and lovely like kelly rowland, and her humility while in nigeria has just proved that. This is enjoyable to watch. I just love watching Ciara emerge so naturally. She’s beautiful and she’s a natural dancer, that body on her a gift. My level of respect for her increased. I wish her and Russel the best, he’s lucky. Afrobeats is simply beautiful. I just love how Africans can dance our sorrow away and have fun. 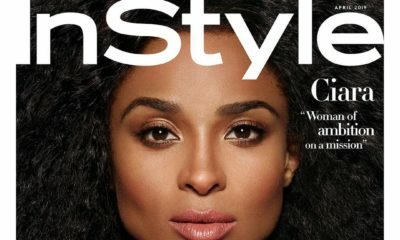 Ciara, your new name is Chidera………Love!!!Love! !Love………Good job Kaffy for showing this queen the best part of Nigeria without sugar coating……..
Tiannahstyling did a good job,she and kaffy Taking Nigerians places.kudos.